Mr. Md. Abdul Hamid was born on 1 January, 1944 in Kamalpur of Mithamoin Upazila under Kishoregonj district. His father’s name is Late Hazi Md. Tayeb Uddin & mother’s name is Late Tomiza Khatun. Md. 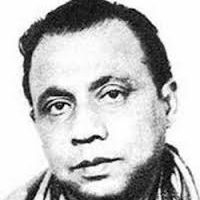 Abdul Hamid joined Chhatra League in 1959 & thereby His political career began. While studying in the college, he took leading part in anti-Ayub Movement in 1961. He was imprisoned by the then Pakistan Government in 1962 for His active participation in the student movement & opposing Hamoodur Rahman Education Commission Report. 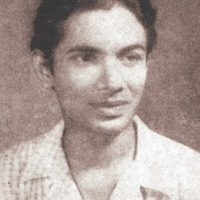 In 1962-63, he was elected General Secretary of Student Union in Gurudayal College of Kishoregonj & in 1965-66 the Vice-President of the same student union. Mr Hamid was the Founder President of Chhatra League of Kishoregonj Sub-division Unit in 1964 & also elected the Vice-President of Chhatra League of Mymensingh District Unit in 1966-67. He was again imprisoned in 1968 for leading student movement. Towards the end of 1969, he joined Awami League. In 1971, on being instructed by Bangabandhu Sheikh Mujibur Rahman, he started the movement in Kishoregonj amid tumultuous protest against Pakistani regime to create public opinion in favour of independence. In the wake of movement, he hoisted the flag of independent Bangladesh inscribed with the map in a huge student gathering at Rothkhala field in Kishoregonj on March17, 1971 in which thousands of students & people participated. 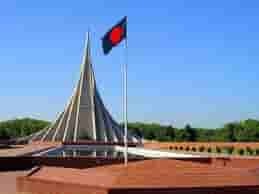 On receiving the historic proclamation of the Father of the Nation Bangabandhu for independence through a telegraphic message in the morning of 26 March in 1971, he instantly joined the Liberation War. With the cooperation of Bangalee Army officers in the early part of April 1971, Mr. Hamid procured approximately tk. 11 Crore & 78 lac from Kishoregonj, Bhairab & Bazitpur branches of National Bank of Pakistan & deposited the whole amount safely in the National Bank of Pakistan at its Brahmanbaria Branch considering that as a safe place of custody at that time for using it for the War of Liberation. Thereafter, he went to Agartola, India to take part directly in the War of Liberation. At that time, most of the Members of Parliament of greater Chittagong, Noakhali & Comilla had been staying there. Mr. Hamid discussed various strategies of Liberation War with them. Side by side, he exchanged views with the local public representatives & high government officials in Agartola. Later, towards the end of April, he again came back to Bangladesh to further organize people & went back to India. Taking several associates with him, he reached Balat via Tekarhat, Gumaghat, Panchara & Moilam of Meghalaya. He set a Youth Reception Camp in Balat for those who came from Bangladesh to participate in the Liberation War. He was the Chairman of that camp. The primary recruitment of the youth who came from Kishoregonj, Netrokona & Sunamgonj to join the war as freedom fighters, was mainly done in this camp. He was also one of the prominent members of Zonal Administrative Council constituted at Meghalaya to direct the Liberation War & for the better management of the refugees. He also acted as the sub-sector commander of Bangladesh Liberation Force (Mujib Bahini) for Kishoregonj & Sunamgonj Districts. He carried out those responsibilities for the entire period of Liberation War. After the victory of liberation war on 16 December, 1971 he organized meeting at various refugee camps in Meghalaya to motivate the Bangalees who took refuge there to return home. After the homecoming of the refugees, he returned to the country on 10 January 1972. Mr. Abdul Hamid became the Chairman of Kishoregonj District Relief & Rehabilitation Committee in Independent Bangladesh. In 1974, he was elected Vice-President of Kishoregonj District Awami League. During 1976-1978, Mr. Hamid was imprisoned by the then Military Government after the brutal killing of the Father of the Nation Bangabandhu Sheikh Mujibur Rahman. He was the President of Kishoregonj District Awami League from 1978 to 2009 & was the President of Kishoregonj District Bar Association for 5 times during the period 1990-96. In the Pakistan National Assembly Election of 1970, Mr. Hamid was elected the junior most member from Mymensingh-18 Constituency. In 1972 he became the Member of Constituent Assembly (The Constituent Assembly was formed with the members of National Assembly & Provincial Assembly elected in the historic general election of 1970). As a pro-people & grass-root level popular leader of Bangladesh Awami League, he was elected Member of Parliament for several times. In the General Election of 1973, 1986, 1991, 1996, 2001 & 2009 he was elected Member of Parliament from Kishoregonj-5 Constituency as a nominee of Bangladesh Awami League. Mr. Md Abdul Hamid was unanimously elected the Deputy Speaker in the Seventh Parliament on 13 July, 1996 & held the post till 10 July, 2001 .Later he became the Speaker of the Parliament on 12 July 2001 & remained so till 28 October 2001. In the Eighth Parliament he served as the Deputy Leader of the Opposition from 01 November, 2001 to 27 October 2006. Mr. Hamid was elected the Speaker in the Ninth Parliament & served office in this capacity during the period 2009-2013. He was also the Chairman of Working Committee, Standing Committee for Rules & Procedure, Standing Committee for Special Rights & Petition Committee of the Parliament. Mr. Md Abdul Hamid is an ardent social worker & a patron of education & culture. He established a good number of schools, colleges & madrashas in His constituency including Mithamoin Tomiza Khatun Girls’ High School, Mithamoin Hazi Tayeb Uddin Boys’ High School, Mithamoin College, Astogram College, Alongzuri High School, Itna Girls’ High School, Baribari High School, Abdullahpur High School, Abdul Wadud High School, Kishoregonj Girls’ High School, Dhonpur High School, Shohid Smrity High School, Mohantala High School & Ghagra Abdul Goni High School & many other junior level Schools & Madrashas. As a member of Sustainable Development Committee of Inter Parliamentary Union (IPU) from 1997 to 2000 & the member of the Executive Committee of IPU from 2011 to 2013, Mr. Hamid played His due role. He was also the member of the Executive Committee for Commonwealth Parliamentary Association (CPA) for two terms from 1999 to 2001 & from 2009 to 2012. He is the Life Member of Kishoregonj District Public Library, District Shilpakala Academy, Red Crescent Society & Kishoregonj Rifles Club respectively. He is also the honorary member of Kishoregonj Press Club & associated with many other philanthropic institutions. A widely travelled person, Mr. Hamid visited USA, UK, Russia, Canada, India, Gibraltar, Barbados, Egypt, Singapore, UAE, Thailand, Morocco, Saudi-Arabia, South Africa, Namibia, Switzerland, Hong-Kong, Kuwait, Iran, South Korea, Mongolia, China, Sweden, Fiji, Australia, Kiribati, France, Germany, Italy, Netherlands, Belgium, Malaysia, Sri Lanka, Pakistan, Japan, Nauru, Maldives, Uganda, Thailand, Bolivia etc. to attend meetings, seminars, symposiums & conferences as a Member of Parliament, as the Deputy Speaker & the Speaker of Bangladesh Parliament. For His outstanding contribution to our Independence & Liberation War, Md. Abdul Hamid was conferred the Independence Award-2013, the highest award of the country. Md. 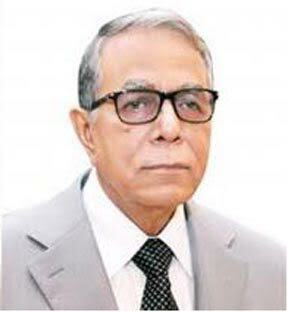 Abdul Hamid became President in-charge on 14 March 2013 as the then President Md. Zillur Rahman was under treatment in Singapore. After the death of Md. Zillur Rahman on 20 March 2013 in Singapore, Mr. Hamid became Acting President from that day. Later Md. Hamid was elected President uncontested as the 22nd President of Bangladesh on 22 April 2013. He was sworn in to the office of the President of the People’s Republic of Bangladesh on 24 April 2013. Mr. Hamid is married & father of three sons & a daughter. Reading books on history & constitutions of different countries is His favorite pastime.